but a lamb I could not afford. that caused the angel of death to depart. of the blessed Passover lamb. and include me in their Passover cheer. lined up along the sides, all the way. we crucify Jesus the Nazarene? who healed the sick and raised the dead. he might as well be dead. much like the cattle or goat. could he really be the one? he was from Cyrene they say. let him call upon the Lord to save him at this hour. “Father forgive them!”1 he cried. The other thief asked, “why this assault? but what is this man’s fault? This is the lamb for you. that in freedom you may abide. Nothing could have prepared me for that day. but it was he, who made the mute man speak. which today, with fear, grows cold. Was this that very hour? with too great a sword? I remembered the prophet, Simeon’s, word. What would they do with Jesus? What were they plotting now? but he escaped every time, somehow. Could this be the plan of God, his Father? In this mother’s heart, no peace could be found. What charge were they plotting to bring? for the masses had hailed him as their king. at the announcement of this conviction. my son was going to suffer and die. then he gave up his spirit and died. in the garden, in Joseph of Arimathea’s tomb. the stone to the entrance had been rolled away. Copyright (c) 2015, Pooja Chilukuri, Once There Was Jesus- The Greatest Stories Retold. Barring any allergies, an egg can be a very nutritionally dense food. A recently published study, out of the University of Finland may bring some hope for egg-lovers. The study shows that an egg a day did not have a significant effect on blood cholesterol levels of genetically susceptible individuals. You can read the study byclicking here. If you are on a egg-restricted diet, we suggest you check in with your physician, nutritionist or other healthcare provider. Otherwise, go ahead and enjoy this nutritionally dense food. If you are introducing this into your diet for the first time, do not forget to check with your doctor or pharmacist to be sure it does not interfere with your medications. 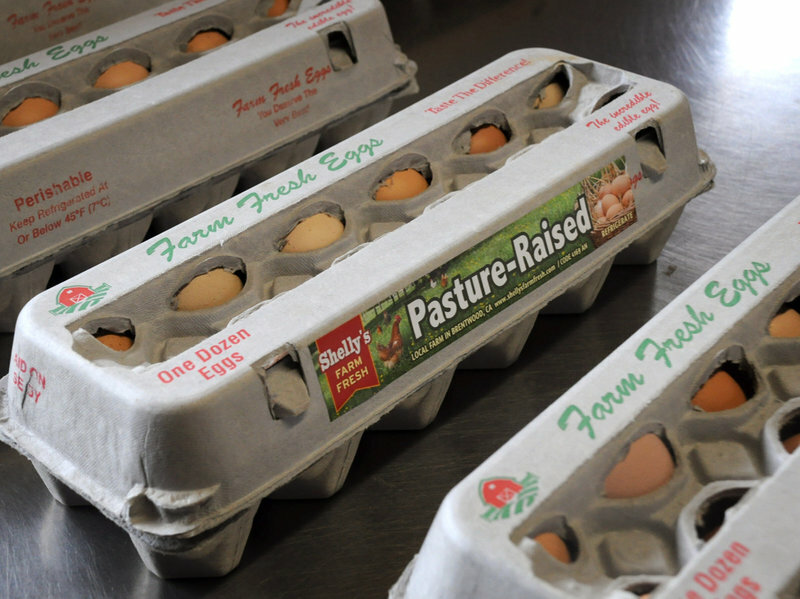 When buying eggs, the labels on the cartons can be very confusing ranging from Farm Fresh to Cage Free to Free Range. Additional labels include All Natural, Organic, Certified Humane, Pasture-Raised and Pasteurized…the list goes on. There is an excellent article ion NPR.org breaking down the different labels and the details of what each one means.You can read it here. So which one should you buy? My preference is to buy Organic or Certified Humane or Pasture-Raised (different from pasteurized) or better yet, from your local Farmer’s Market. Many regular grocery stores (not just Whole Foods:)) carries these with prices anywhere from $4-$6/dozen. The extra$$ it costs to avoid the hormone/antiobiotic containing eggs from conventional brands,will pay for itself over time:) There is also the chance that you may fall for the taste of these “non-conventional/industrially raised” eggs. Who said healthy cannot be yummy? So enjoy that egg but know what you are getting. If you are on statin drugs for lowering cholesterol, it may behoove you to consider supplementation with CoQ10 according to a recent research study. You can click here to read more. This study describes How Statin drugs stimulate atherosclerosis. The FDA has also expanded advice on statin risks. Also, while considering supplements, pay attention to quality. The list of inactive ingredients often contain colors and dyes as well as preservatives (especially questionable is the polysorbate class of additives which are probable carcinogen). Steer clear of these. Given the risks associated with these drugs and the fact that high cholesterol levels are often due to lifestyle factors, it makes sense to commit ourselves to a lifestyle that supports healthy cholesterol levels. If you are on these medications, please consider implementing the following “skills” to help reduce your need for these statin drugs. -eat whole foods which are as close to nature as possible. Eat organic when possible. You can get a “Guide to buying organic fruits and vegetables” by either entering your e-mail on our home page, optin section or from the Environmental Working Group. -replace vegetable oils with healthier alternatives like organic extra virgin olive oil for sauteing. Avoid fried foods altogether. -stress reduction through whatever strategy works best for you-meditation, journalling, sitting or walking in nature, spending time with your best friend etc. If you are on statin drugs, please do NOT simply quit cold turkey. You must work with your physician as you begin to modify your lifestyle and have your cholesterol levels checked periodically (you and your physician can determine how often). Let your physician adjust your dosage as they deem fit. Your part is to commit to a healthier lifestyle and work closely with your physician. Any lifestyle modifications, when consistently followed, may lead to reduction (or elimination) of your medication. Invest in self care and which has the wonderful side effect of lower medical bills and a improved quality of life.